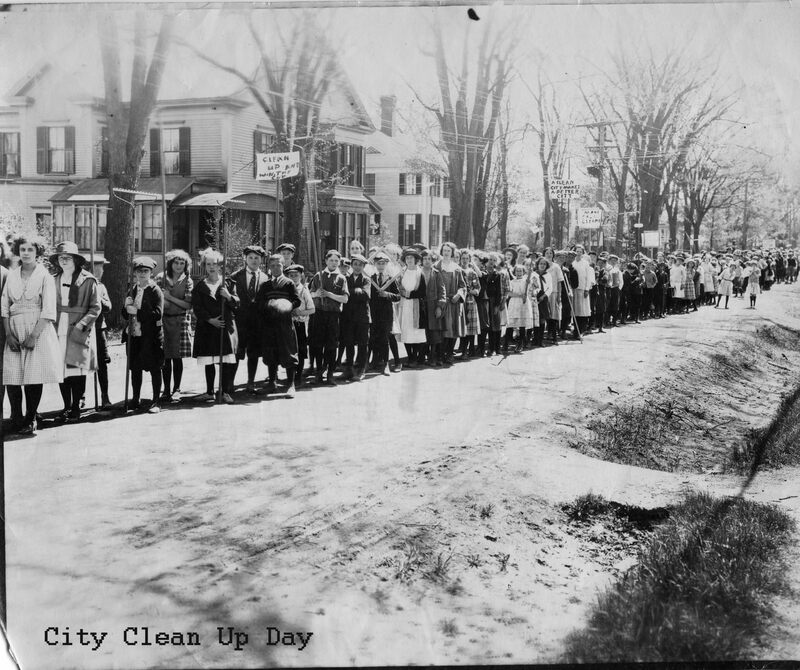 There was once a spring tradition in Calais which it might do well to resurrect- City Clean Up Day. This line of hundreds of school kids is assembled on Main Street near the Park with rakes in hand. The photo was taken in the late 20’s or early 30’s. 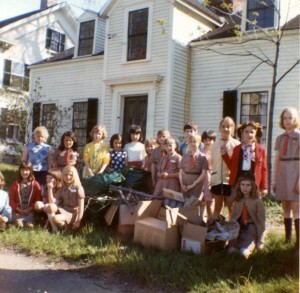 The white house in the background is the Lowell house and is now owned by Ralph Mercier. The community came together every spring in both Calais and Milltown. 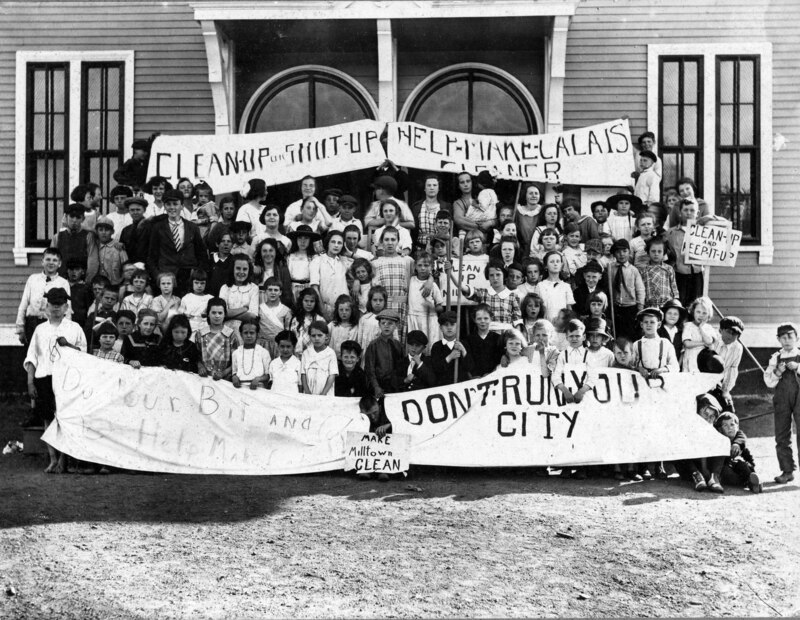 This 1922 photo taken in front of the Milltown School on School Street shows the Milltowners had as much civic pride as the folks who lived in the town center. 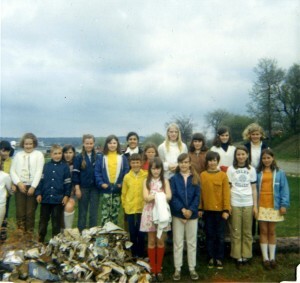 We aren’t sure how long the tradition continued, certainly through 1970 and it wasn’t only school kids who pitched in. 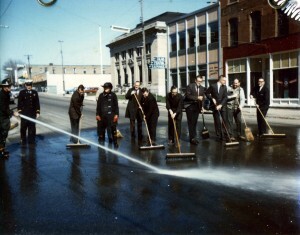 Here are a group of merchants washing Main Street in 1969. 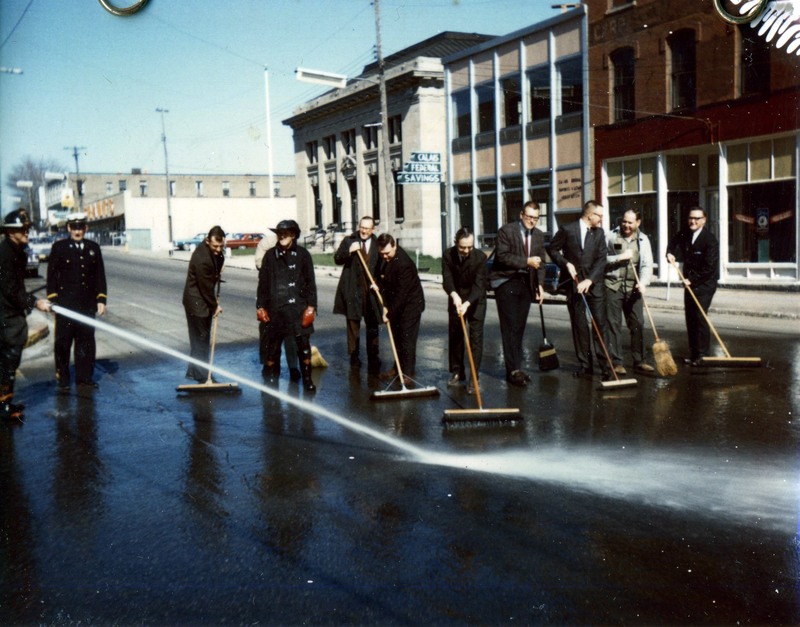 If you look closely we think you’ll be able to identify Will Donovan, JoeUnobskey, Bob Treworgy, Walt Durgin, George Taylor and a few others at the corner of North and Main Streets. 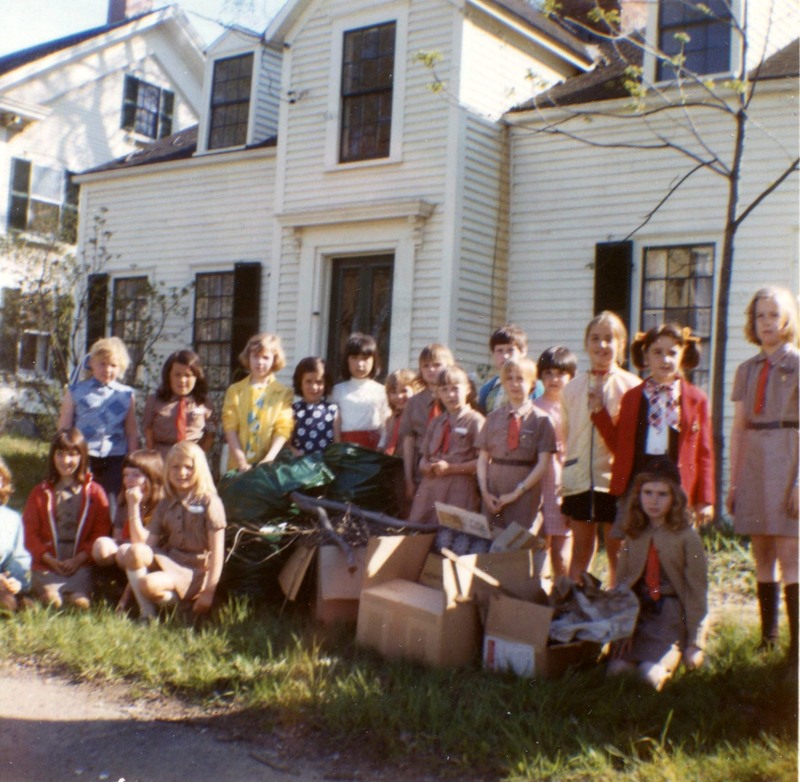 The Girl Scouts in 1970 in front of the Holmes Cottage on Main Street. These girls would be in their 50’s today but some of them look familiar. 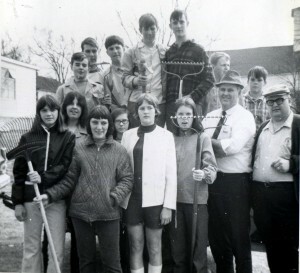 Do you recognize any of them?